Adding a pair of designer shoes to your closet is always a noteworthy moment for any fashion girl. While I have bought a number of designer shoes at full price—like black leather Gucci loafers and two-tone Chanel slingbacks that I didn’t want to pass up when I spotted them in the stores—I have also figured out a way to buy them for an affordable price point. My secret? I find lightly used shoes on luxury consignment sites like The RealReal. I used to spend hours visiting local secondhand stores to unearth hidden fashion gems, but the great thing about websites like these is that you can look for everything in one place—and the prices are pretty incredible. While the cost for shoes on The RealReal ranges based on the quality and style, I regularly find incredible pieces marked under $250. Stamped with the classic Chanel double C's. Now here are the perfect boots for fall. These are adorned with lucky clovers. These are giving me cool '90s vibes. Pastels are huge for fall, so now is the right time to wear these. Wear these with midi dresses. Snakeskin is one of the biggest trends for fall. Flip-flop-inspired heels are all over the runways right now. 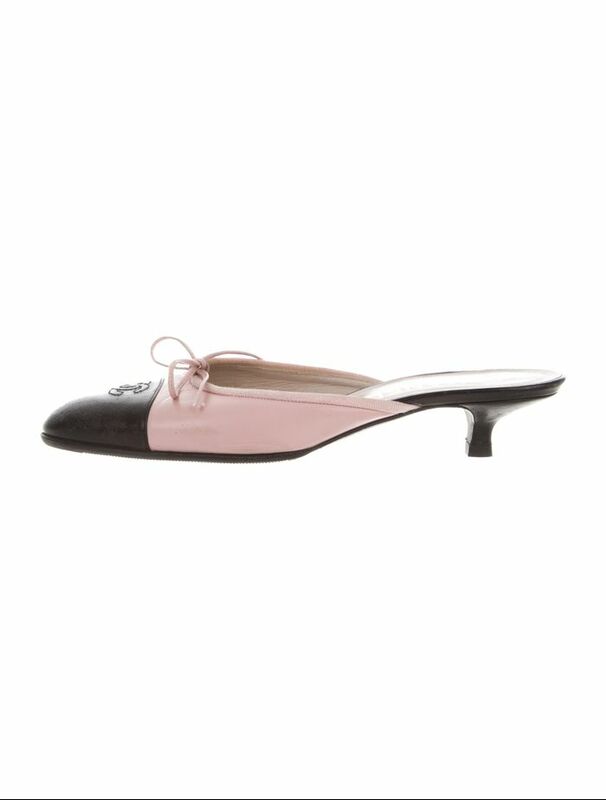 The perfect shoes to take you from the office to dinner. Destined for your next Friday night. You can't you wrong with Gucci's iconic loafers. Wear these with everything from jeans to knits. And again with those GG logos. These are finished with Prada's iconic triangle logo. I might have to order these for myself. This shade of green feels very of the moment. Another take on the flip-flop-inspired heels we're seeing everywhere. A cool take on strappy sandals.